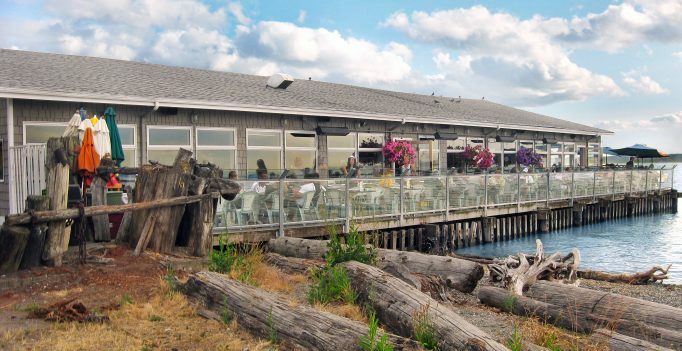 Skip the lines at Starbucks and save yourself precious time by heading straight to the beach at Redondo for the best coffee in the Seattle area! The Redondo Boardwalk Espresso Bar serves local Italian-style roasting and blending of coffee, Caffe D’arte Gourmet Drip Coffee, espresso, lattes, caramel macchiato, mochas, Italian sodas, tea and more. You’ll especially appreciate our fresh pastries changing daily. Also, don’t forget to check out our seasonal Fish Bar! *Note: The full menu is available all day, no difference between lunch and dinner. *Note: We are closed from 1:00pm to 4pm Saturday & Sunday to transition between brunch and dining room service. (please inquire for holiday hours).